Starting in March 2014 Air Canada is expanding its Premium Economy service between Vancouver and London-Heathrow. Premium Economy includes priority check-in, larger seats and more! Starting next year, passengers travelling from Vancouver and Montreal to London Heathrow will be treated to even more comfort. Enjoy priority check-in, larger seats with more recline and extra legroom. 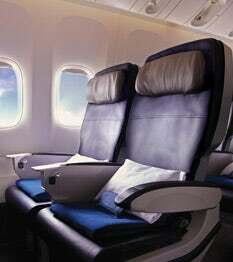 Premium Economy is also available on flights between Toronto and Vancouver, and Vancouver and Hong Kong.